If you’re looking for a great new car, you’ve come to the right place. We’d love to introduce you to the new 2017 Subaru WRX! For the urban driver, the 2017 Subaru WRX offers effortless style and a drive so comfortable that you’ll want to do more, see more – drive more! 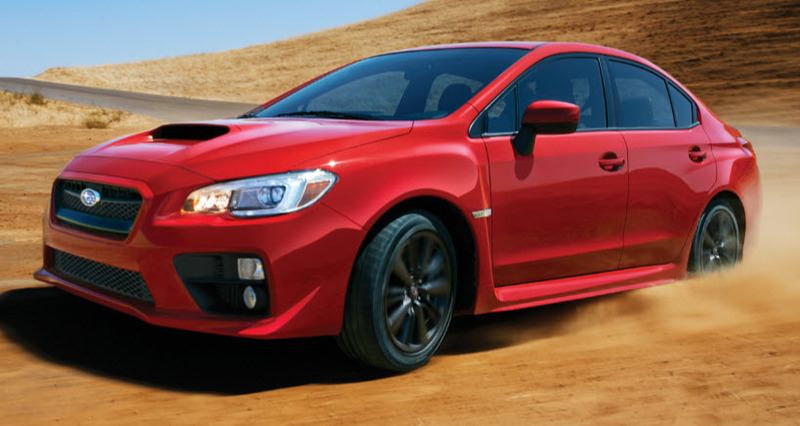 Expert reviews of the new Subaru WRX have described the car as an astonishing all-wheel-drive performer, and at Hanson Subaru we couldn’t agree more. Why do we love the 2017 Subaru WRX so much? The short and simple answer is that this car truly performs. It’s a dream come true for those who want the performance and drive of a powerful car without having to pay the price or take on the risks. The Subaru WRX is a practical package that offers a turbo-charged engine, technologically advanced all-wheel-drive system and the type of all-weather drivability that you won’t often find in rear-drive cars that are hot on the market. Power is certainly the name of the game with this model with its 2-liter flat-4 engine that’s outfitted with a twin-scroll turbocharger, intercooler and direct fuel injection. You can expect horsepower levels to reach 280 and up to 258 lbs-ft torque. It’s nothing short of impressive! With the type of power that the WRX offers you would expect fuel economy to take a back seat, but it doesn’t. It offers a 20 MPG city rating and a 27 MPG highway rating and has a 6-speed manual transmission. Front, side, head air bags with occupancy sensors. Driveline traction control and electronic stability control. Pay a visit to the Olympia Auto Mall to book a test drive and to learn more about the features of the 2017 Subaru WRX. At Hanson Subaru we recommend test driving the 2017 Subaru WRX to truly experience the comfort and style of the drive that this latest model offers. For more information and advice, we welcome you to visit us or contact us at Olympia Auto Mall today.